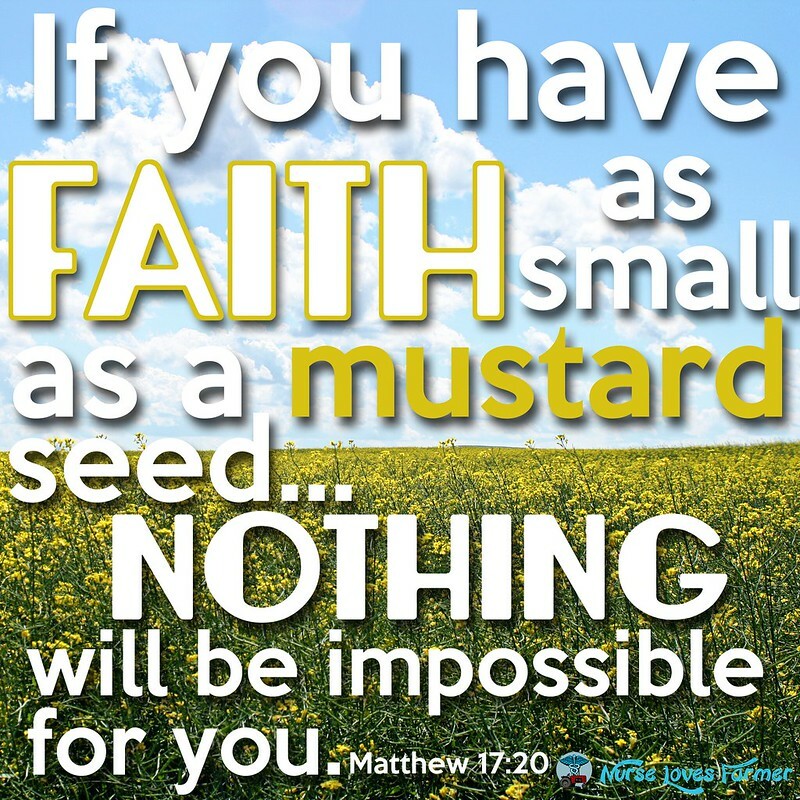 Or in our case: faith like a canola seed. 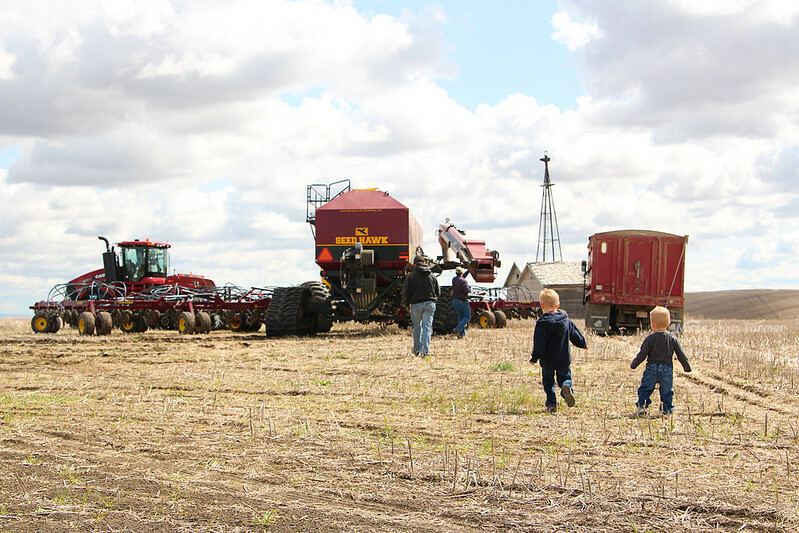 Because canola seeds are so small, we have to have faith that those tiny little seeds will find moisture, germinate, and be able to grow into a huge plant. The seeds have all been planted for the 2014 growing season, a lot of the crops are emerging beautifully out of the dark soil and spraying has begun to control the weeds to give our crops the best chance to grow. When it comes down to it, really it’s not up to us how our crops grow this year. Sure, it’s about good planning and good management and thinking ahead as much as you can, but every dark cloud coming in from the west, which is where the majority of our storms come from, we keep a watchful eye on. We pay more attention to the weather forecast than we do to most current events or sports scores. With all of the disgust and negativity towards modern agriculture practices, I have to wonder if the naysayers gamble with their livelihood like we do? We rely 100% on God and nature to make a profit off of our crops in farming. If there’s no rain in a drought year, our crops won’t grow and yield like they can which means a drastic loss of income for farming families, as well as many people in the community that are indirectly connected. 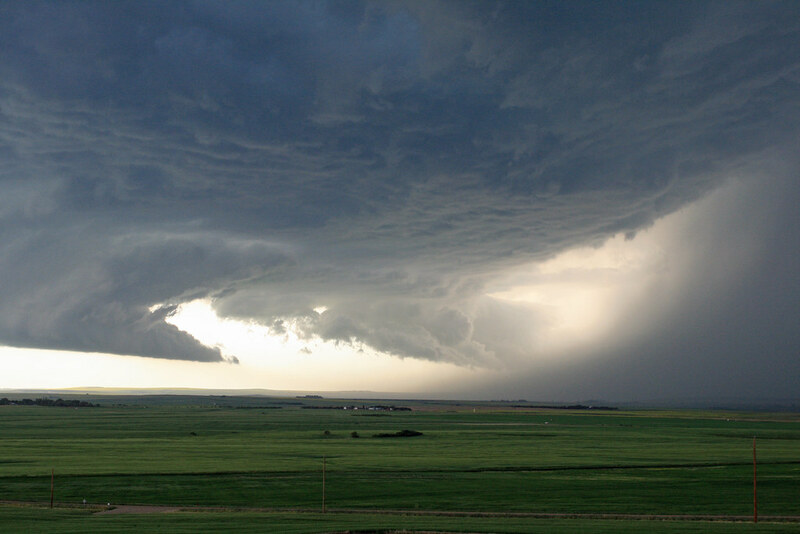 If there’s too much rain like with storms and hail damage—our crops can be wiped out in as little in 5 minutes, with as much as 100% damage just like the storms that just went through Nebraska. 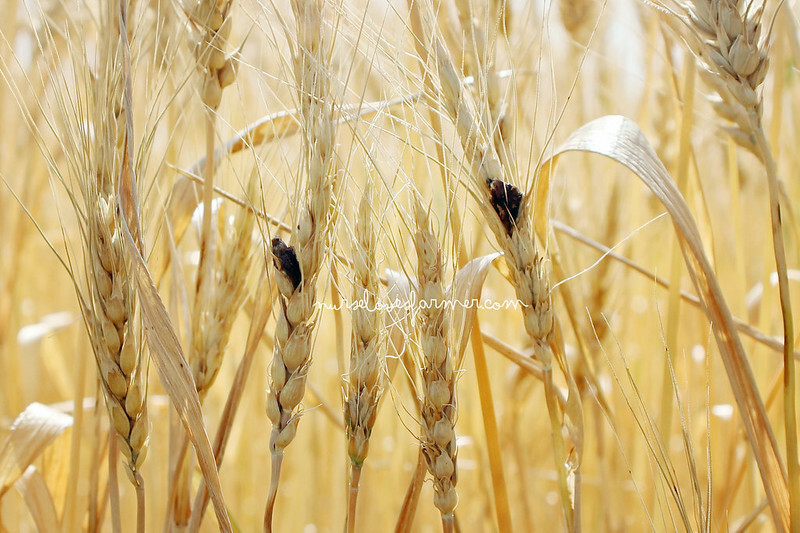 We are subject to disease and insects that can invade our crops like three years ago when a disease called sclerotenia did to our canola and ergot in our wheat which can affect the grade and price we get for it. 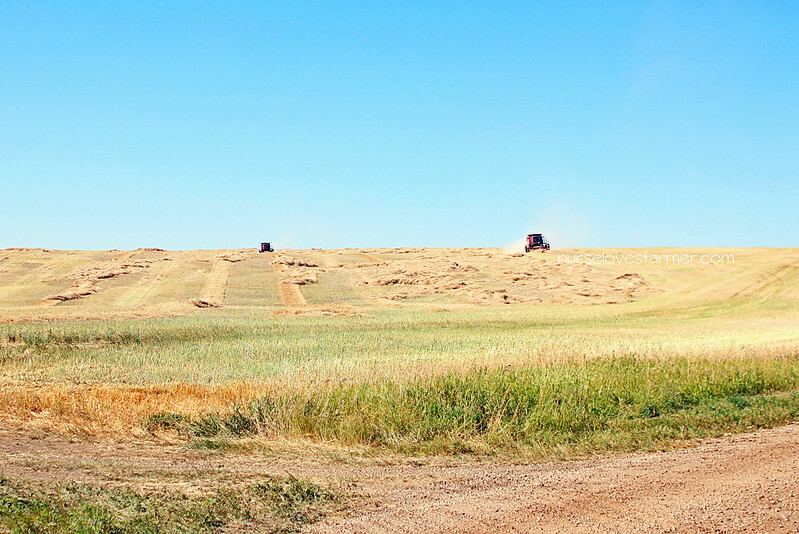 The last two years after our canola crops had been swathed into straight rows for harvesting, extremely forceful winds of up to 100 km/hour came threw and blew our canola swaths all over the place. The wind not only blew the canola out of their uniformed swaths, but it shattered the canola pods (which is where the seeds grow on the plant) spreading canola seeds all over making it impossible to harvest all that we could have. Jay estimates that we had damage to about 2000 acres over two years. Just to put that into perspective: that’s about 2000 acres at 20 bushels of canola per acre loss average, which adds up to approximately 40 000 bushels of canola lost. Last year the price was $13 per bushel which is a loss of $520 000 in canola because of two 15 minute wind blasts a few days before harvest. It is devastating to see a year of planning be destroyed when the crop is a matter of hours away from harvest. Jay also says one of the most heart-wrenching things about farming is checking on a crop one day, admiring how amazing it is growing, and then the very next day (or even a few hours later) having that crop flattened and destroyed by the weather. So before you’re quick to judge a grain farmer for their practices, just take a moment to think if your job and livelihood was all a gamble too. What if you didn’t get the paycheck you were hoping for because it rained too much or too little? Or if the temperature dipped below 0 degrees for one hour too long? We walk a very fine line between success and failure sometimes and weather is the biggest is factor we can’t control. We plant our crops and do maintenance work, but the rest isn’t up to us. Like my husband always says: luck is when preparation and hard work meets opportunity. It takes a lot of luck and a lot of faith to farm! Oh yes yes the storms in Nebraska this year have been bad bad bad! Tornadoes, winds…. and the hail! Baseball & larger size hail. Entire towns look like a war zone. Just 20 mins. away where my hubby teaches, literally the entire town will need all new siding, roof, windows, vehicles, trees, everything. The poor, poor crops. I know lots of people around here are planting for a 2nd time, it was that bad. My recent post Its June!! Thinking of you again after yesterday's devastation. I cannot even imagine the losses that so many are suffering. It froze here 2 nights ago, About half of our crop was out of the ground. It doesn’t seem to have done much harm but that nagging sense of worry is hard to swallow. I often wonder if non farmers understand what it is like to lay awake all night, checking the radar map waiting for the sound of hail on the roof, or wake up every hour and watch the temperature. I can’t even count the times I have heard the rain drops hit the window and started praying, “please Lord let it stop, just let it wait 48 more hours”. 2 years ago I stood on the step of the combine taking a video of our canola swaths rolling up into giant 20 foot bales as the wind scattered a seasons worth of work (and paychecks) across the ditch and into the trees. I couldn’t even blink back the tears at that moment. The highs are high and the lows can be very low but if you have faith and family you can get through it all. Thanks for doing such a great job of explaining it from a farmers perspective. 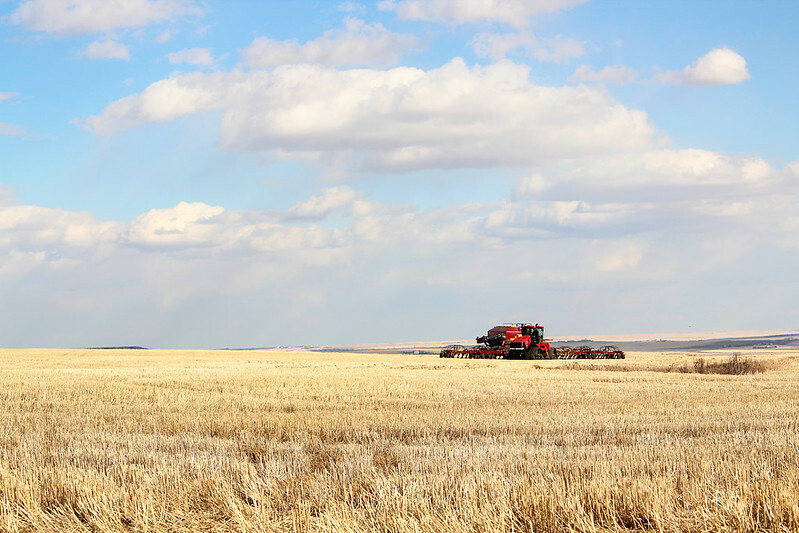 I think it's one thing that probably no one thinks about other than farmers, which is why I wanted to shed some light on it. Thanks, Angela I hope you guys have a good growing season! "if you have faith and family you can get through it all"… yes! can't imagine what farming would be like if we didn't have faith in God. We know that we do our part, and God will do His… and sometimes there are bad years, but in the end, we've always been fine… He watches out for us. wow…thanks for sharing this perspective Sarah! Thanks for reading, Ruthy. As someone mentioned on Twitter there is such thing as crop insurance for hail damage, but not for wind damage so we received no compensation for those loses. Girl- I feel you. We had a hail storm roll through last night. Luckily, it only caused a little damage, but things were quite dicey for a while! My recent post Corn progress: Twelve days post planting. I saw that on Instagram this AM. Our crops aren't big enough for tooooo much hail damage, but any damage is no bueno!